However, I regret to say that I did not watch the competition yesterday. Not that I do not like a good song contest or that I am not a patriot rooting for my country. The reason that I did not watch the song contest was simply that the bookmakers had Denmark as a heavy favourite to win and history shows that the bookmakers are rarely wrong in their Eurovision predictions. Bookmakers have correctly predicted four out of last five Eurovision winners. Hence, the results were pretty much given before hand, which really takes away all of the excitement. I do, however, hope that every central banker out there watched the Eurovision song contest yesterday. It serves a great example that looking at market expectations is the best way of predicting the outcome of an uncertain event. If markets can predict the winner of the Eurovision they should also come pretty close at predicting the future rate of inflation, real and nominal GDP growth, the rate of unemployment etc. Hence, the first thing central banks should do on Monday is to set up prediction markets for key economic variables. This will be a great help in guiding future monetary policy decisions. I have always wanted to promote the work of young scholars on this blog and have been grateful that a couple of gifted young economists have published guest posts on this blog. I want to continue that “tradition” and I am therefore happy that Garrett Watson – a student of Steve Horwitz at St. Lawrence University – has accepted my invitation to write a guest post for my blog. Enjoy Garrett’s excellent discussion about the “Misunderstanding Say’s Law of Markets”. The post has previously been published on Tu Ne Cede Malis. 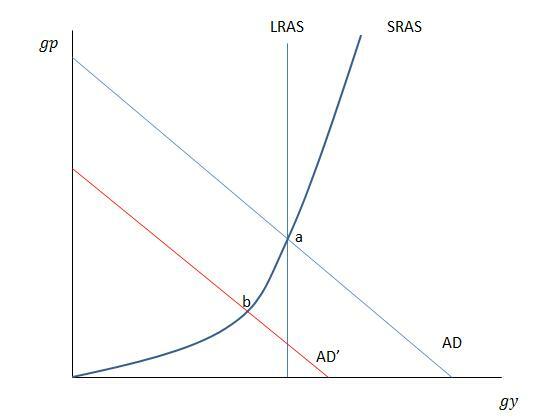 Understanding Say’s Law and the connection to monetary policy is key to understanding the present crisis. So enjoy Garrett’s guest post. Few ideas in the history of economic thought have achieved a level of perplexity and criticism than Say’s Law. Perhaps one of the most misunderstood and elusive concepts of the Classical economics, Say’s Law of Markets, first postulated by John Baptiste Say in 1803, underwent considerable support and eventual decline after its assault by John Maynard Keynes in The General Theory. Many of the fundamental disagreements we observe in historical debates surrounding macroeconomics can be traced to different conceptions of how Say’s Law operates in the market economy and the scope used in the analysis. By grasping a thicker idea of Say’s Law, one is able to pinpoint where disagreements in both macroeconomic theory lie and judge whether they necessarily must be dichotomized. Say’s Law is best known in the form Keynes postulated it in The General Theory: “supply creates its own demand” (Horwitz 83). Despite the apparent eloquence and simplicity contained in this definition, it obscures the genuine meaning of the concept. For example, one may interpret this maxim as meaning that whenever one supplies a good or service, it must be demanded – this is clearly untrue (83). Instead, Say’s Law can be interpreted as saying that the ability to produce generates their ability to purchase other products (84). One can only fully grasp Say’s Law when analyzing the nature of the division of labor in a market economy. Individuals specialize in producing a limited range of goods or services, and in return receive income that they use to buy goods and services from others. The income one receives from production is their source of demand. In other words, “all purchasers must first be producers, as only production can generate the power to purchase” (84). This idea is intimately linked to the Smithian idea that the division of labor is limited by the extent of the market (89). The result of this fascinating principle in the market economy is that (aggregate) supply will equal (aggregate) demand ex ante as demand is equally sourced by previous production (Sowell 40). Another important point made by Say’s Law is that there exists a trade-off between investment and consumption (40). In contrast to the later Keynesian idea of falling investment leading to a fall in consumption and therefore aggregate demand, an increase in investment means falling consumption, and vice versa. This idea can be analogized to Robinson Crusoe abstaining from consumption to build a fishing net, increasing his investment and his long-term consumption of fish (42). Therefore, a higher savings rate pushes up investment and capital accumulation, increasing growth and output (as Smith eloquently argues) (40). In another stark contrast to Keynesian analysis, there is only a transactions demand for money, not a speculative nor a precautionary demand (40). The implications of this are that money cannot affect real variables; it is a veil that facilitates transactions only – money is neutral (Blaug 148). Finally, Say’s Law also shows that there cannot exist a “general glut”; an economy cannot generally overproduce (Sowell 41). Whilerelative over and under-production can occur, there is no limit to economic growth (41). While it was uncontroversial among the Classical economists that there wasn’t a limit on economic growth, several economists took issue with the fundamental insights of Say’s Law (44). One of the most well-known criticisms was that of Thomas Malthus. Malthus was an early proponent of the “Paradox of Thrift” – an excessive amount of savings could generate an economy with less than full employment (43). One could describe the view of Malthus as fundamentally “under-consumptionist” (Anderson 7). Unlike his contemporaries, Malthus did not view money as inherently neutral (Sowell 41). Other classical economists, such as Smith, argue that money “will not be allowed to lie idle”, effectively dismissing a precautionary motive for holding money and therefore monetary disturbances (38). This is where we see the inherent difference in perspective in the analyses of Smith and Malthus. Smith is focused on long-run conditions of money (its neutrality and importance of real fundamentals) versus the short-run disturbances money can generate in output (39). 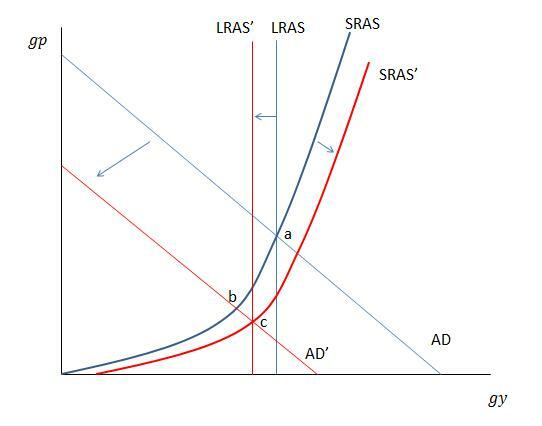 When analyzing the large disagreements over Say’s Law, it becomes clear that they stem from a difference in scope: supporters of Say’s Law analyzed the macro economy in terms of long-run stability, while Malthus and others after him focused on short-run disequilibrium generated by monetary disturbances (Sowell 72). Smith and other classical economists, pushing back against mercantilist thought, emphasized that money was merely a ‘veil’ that does not affect economic fundamentals, and that quantities of money ultimately didn’t matter (72). The Malthusian grain of truth regarding disequilibrium caused by monetary disturbances in the short-run does not refute Say’s Law; it reveals the necessity of getting monetary fundamentals correct in order for Say’s Law to cohesively operate. It becomes increasingly clear that once we look at the disagreements through the lens of scope, the two conceptions of the role of money in a market economy need not necessarily be incompatible. Anderson, William. “Say’s Law: Were (Are) the Critics Right?” Mises Institute1 (2001): 1-27. Mises Institute. Web. 19 Oct. 2012. Blaug, Mark. “Say’s Law and Classical Monetary Theory.” Economic Theory in Retrospect. 4th ed. Cambridge: Cambridge University Press, 1985. 143-160. Print. Horwitz, Steven. “Say’s Law of Markets: An Austrian Appreciation,” In Two Hundred Years of Say’s Law: Essays on Economic Theory’s Most Controversial Principle, Steven Kates, ed. Northampton, MA: Edward Elgar, 2003. 82-98. Print. Sowell, Thomas. On Classical Economics. New Haven [Conn.]: Yale University Press, 2006. Print.